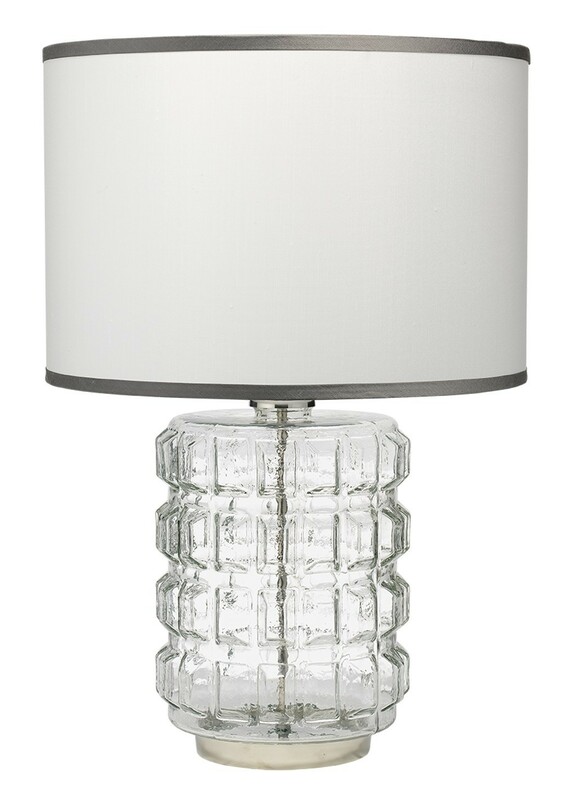 The Madison Table Lamp is textured cylinder base accented by 3-Dimentional rectangles. 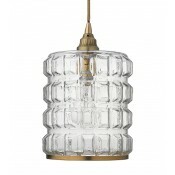 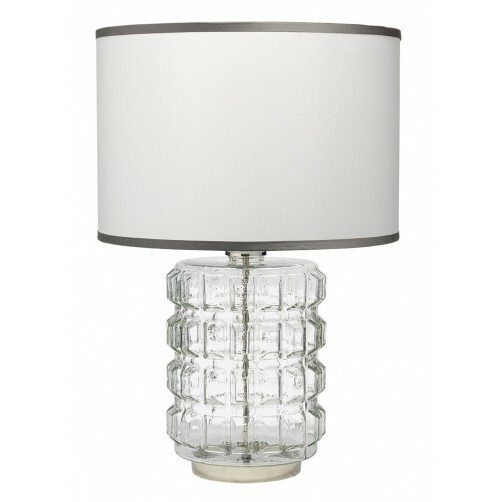 The lamp evokes a sophisticated glamorous feel that will translate into any space beautifully. 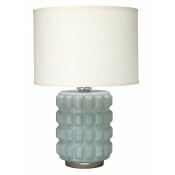 A simple drum shade made from white silk with granite silk trim compliments the clear glass base perfectly.